last week bri and i got a delivery of meals from blue apron. we made the steak lettuce wraps together but one of the meals was salmon burgers which i made at home and loved. and it inspired me to re-create them for you (this isn’t sponsored, they were just really good)! 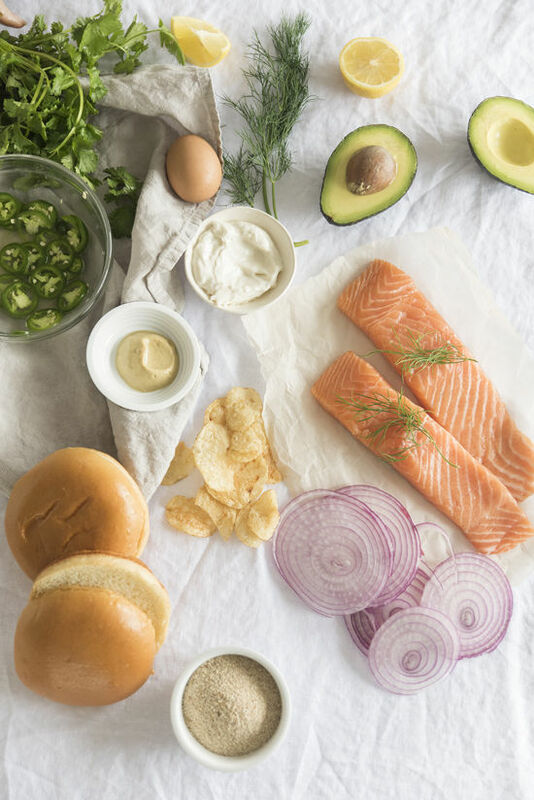 typically i’d make a salmon burger by just putting a fillet of salmon on a bun with all of the fixings. but these were great because you cook the fish and then mix it with herbs, bread crumbs, etc and create patties. i don’t know why i’d never thought to make them this way before but it was super easy and really flavorful. they’re also very adaptable, you could add a variety of fresh or dried herbs, some lemon, chopped onion, garlic, etc. to garnish: avocado, jalapeño, avocado, mayo, mustard, red onion, tzatziki, lettuce, etc. 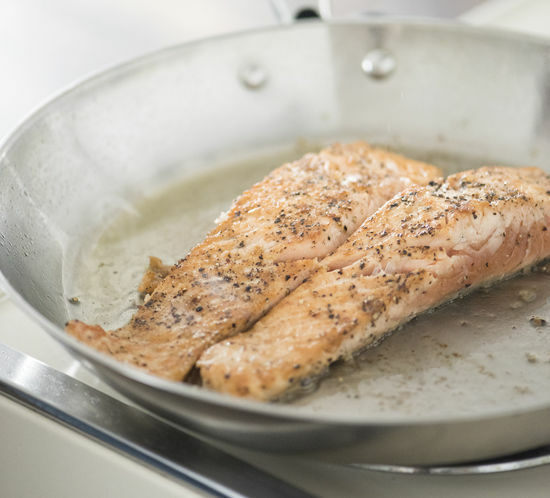 • heat a frying pan with 2 tablespoons olive oil on medium heat, salt and pepper both sides of the salmon and place on the pan, cook for about three minutes per side. remove and set aside to cool. • once cooled, remove the skin if needed and flake into a bowl. 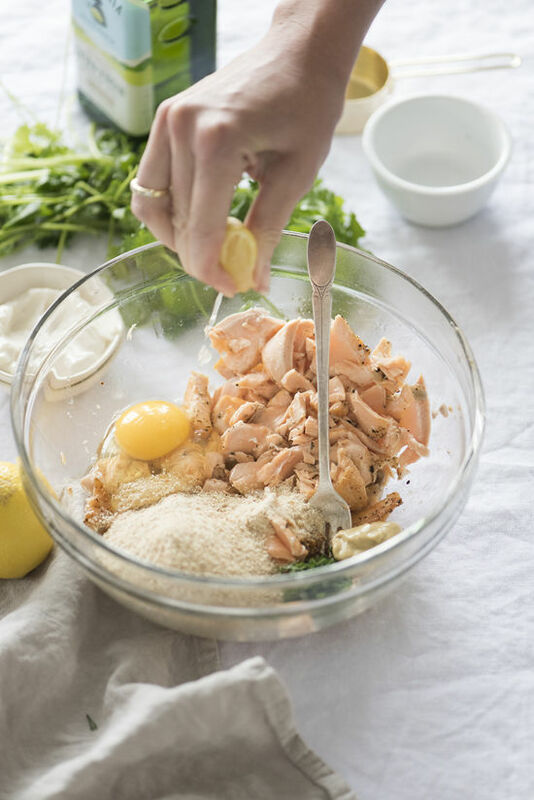 add the dill, mustard, bread crumbs, egg, juice of half a lemon, 2 teaspoons olive oil or mayo, 2 cloves fresh garlic or 1 teaspoon garlic salt and mix together. salt and pepper to taste. set aside for 5 minutes. 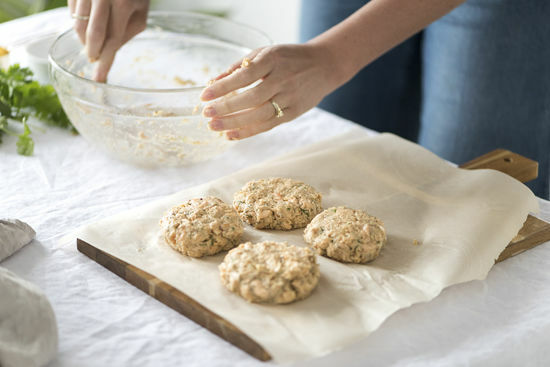 • form the salmon mixture into four patties and let rest for a few minutes. 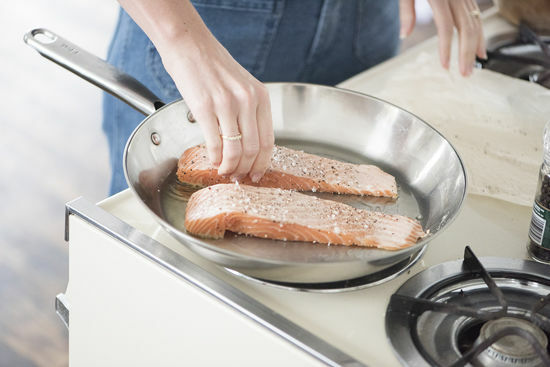 heat a pan on medium heat with olive oil spray (non stick is preferable). once hot cook the patties for 2-3 minutes on each side until slightly browned. remove and set aside. 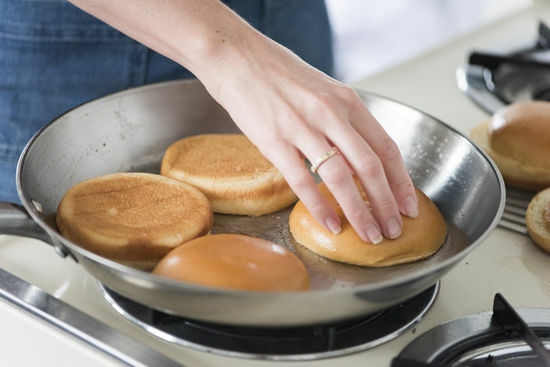 • add butter to the warm pan over medium heat and toast your buns until golden brown. 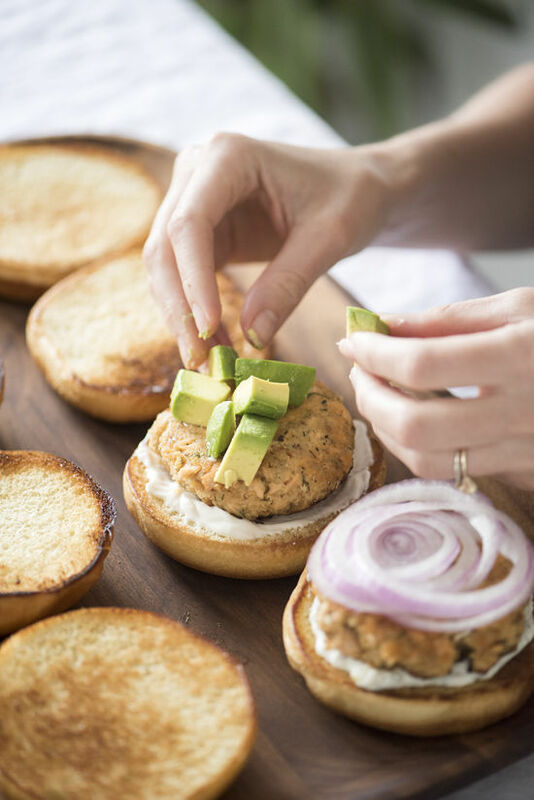 remove, add salmon patties, top as desired and serve! These look so tasty! Do you think they’d freeze well? I’m definitely trying this with the extra buns I currently have sitting around! Amazing recipe! It looks very yummy I really like this post. Keep doing the great work up. Having company over tonight – thanks for the dinner idea. My mind was blank. These look fantastic. 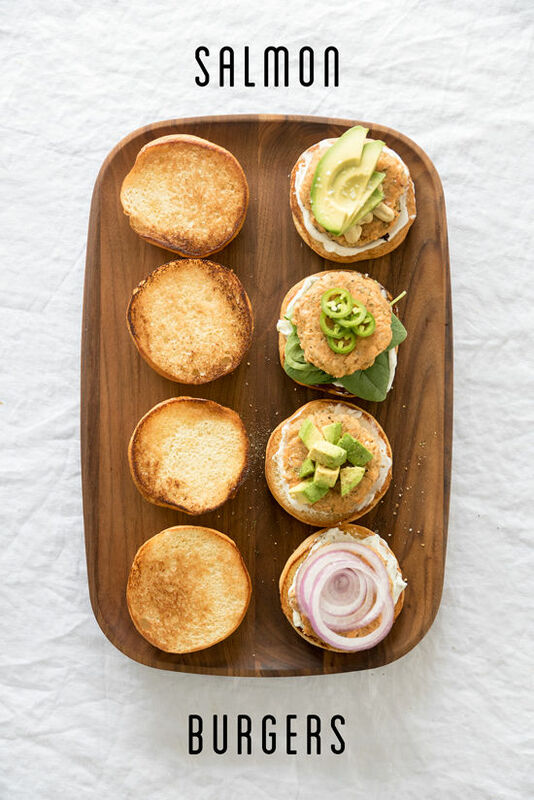 Can these burgers be frozen? Prior to cooking of course. 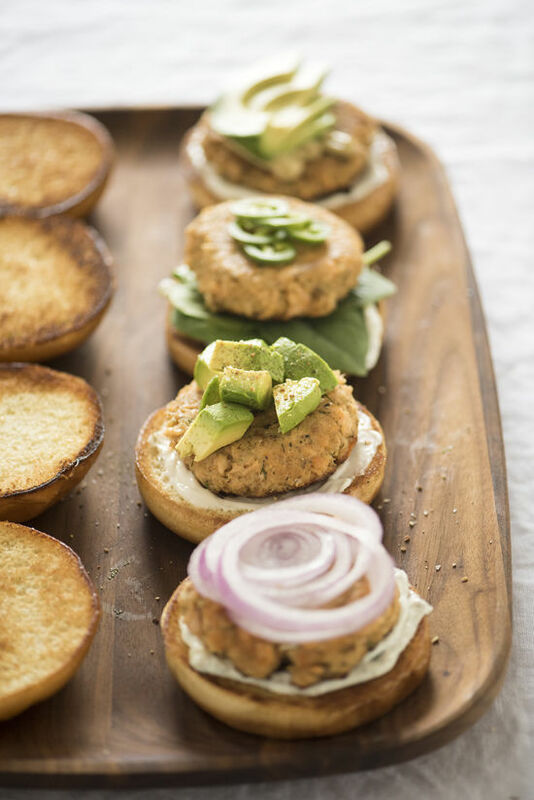 I made these last night to change up our boring dinner routine and they were a huge hit! The photos of the recipe are so inviting and immediately made me want to try something new. Thanks for helping me reinvent dinner. 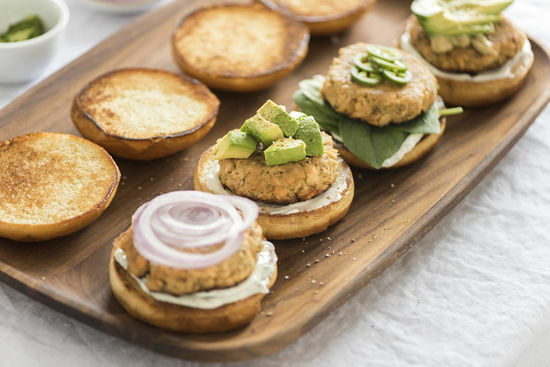 LOVE these salmon burgers. They’re so delicious, we can’t stop making them! Really easy and quick, too!